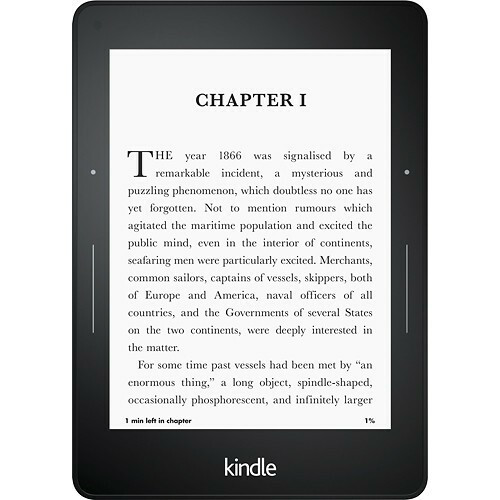 Kindle ereaders have the option to set a passcode in settings under device options that password protects Kindles so that users have to enter a passcode to turn the Kindle on. The passcode is a separate thing from the parental controls password that you can setup to restrict certain aspects of your Kindle, including access to the Kindle store, the cloud, Goodreads, and the experimental web browser. The passcode option is available on the Kindle Oasis, Kindle Voyage, the Kindle Paperwhite 2 & 3, and the current entry-level Kindle Touch. Setting up the passcode is easy. Just go to Settings > Device Options > Device Passcode and enter a number code with 1-12 digits. If you don’t use your Kindle for awhile it can be pretty easy to forget the passcode. If you forget the code there’s an easy fix but it will reset your Kindle to factory settings so all the content will be erased, including the passcode and your Amazon account info. Your Kindle books remain in the cloud, so you’ll have to sign back in to your Amazon account, setup wireless, and redownload everything again after resetting. If you forget your Kindle’s passcode, type 111222777 into the passcode entry field to reset your Kindle to factory settings. The Kindle Keyboard and Kindle 2 also have a passcode available in the last firmware update, and maybe earlier, but require a different entry to clear things if the passcode is forgotten. See the following instructions. I had to find this after buying a older Kindle that the owner had not removed the passcode on before selling it.